How many of PS3 Home's 7 million users are regulars? Have you been Home recently? Sony has recently announced that Home – PlayStation 3's virtual world – now has over seven million 'inhabitants' although it remains unclear how many of those are regular PS3 Home visitors. 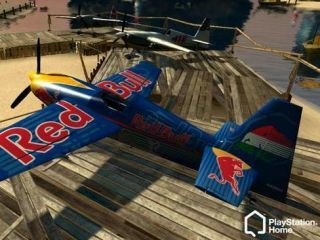 Peter Edward, director of the PlayStation Home platform for Sony Computer Entertainment Europe, claimed in a recent interview that in addition to PS3 Home having over 7 million inhabitants worldwide (3 million of those being in Europe) that users have downloaded 6 million virtual items to date. Edward also told Gamasutra that the "average Home session duration is 56 minutes" and that 80 per cent of users were male in the 18-35-years old demographic. While a lot of games, movie and sportswear companies have used Home to run online ad campaigns for their products, Edward added that: "For Sony, revenue isn't the main driver for Home." "We're in this for the longterm… Home is the starting point for PlayStation 3 online, and that's something that gamers are going to expect as more games support Game Launch from within Home."